NBCUniversal';s cable entertainment unit is rebranding the subscription offering from its crafting brand Craftsy Unlimited as “Bluprint,” marking a new foray into direct-to-consumer video offerings. The subscription service will be bulking up its content offerings with the name change. While Craftsy provided information and advice focused on traditional craft techniques like knitting and quilting, Bluprint will expand into broader subject areas like kids and family, entertaining, home decor and fitness. Bluprint will also be adding original entertainment series and live events, including a cooking show hosted by “Today” show co-anchor Al Roker and chef Matt Abdoo; a profile show narrated by “Top Chef”’s Padma Lakshmi and featuring Stephen “tWitch” Boss from “The Ellen Degeneres Show”; family competition show “Blank Wall Overhaul,” from artist and renovator James Worsham; and additional series based on photography and fashion. NBCUniversal acquired Craftsy in a deal valued at around $230 million in May 2017. At the time, Craftsy was focused on video tutorials and selling crafting kits and supplies. Bluprint will not abandon Craftsy’s ecommerce focus, with the original library of 3,000 hours of crafting video content still available through the direct-to-consumer subscription. NBCU plans an expanded retail offering later in the year. In essence, Bluprint will serve as a direct-to-consumer offering that competes with the likes of Discovery Inc. in the home and lifestyle space, with an commerce element mixed in. 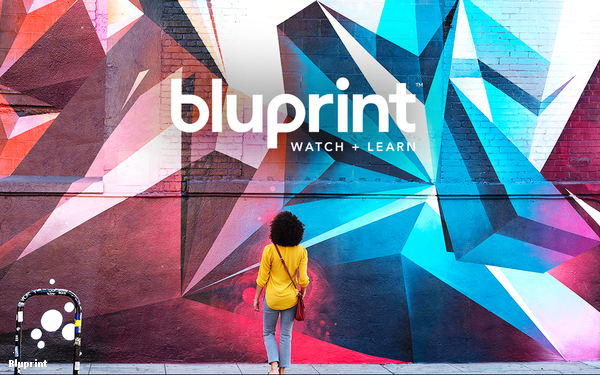 Bluprint will be available as a subscription for $14.99, monthly or $120 per year, or at a launch rate of $9.99 per month. To that end, Bluprint will be integrated into the upcoming NBC competition series “Making It” hosted by Amy Poehler and Nick Offerman, and will also be featured on NBCU’s other properties, such as USA, Bravo and Syfy.